Several video game publishers were showing off demos of upcoming video games they're hoping to hype up for the holiday season at Fan Expo in Toronto. CBC's Jonathan Ore gives his report on some of the more impressive offerings. Nerds, dorks and geeks of all kinds descended upon downtown Toronto for the annual Fan Expo convention beginning this Thursday. Creators and exhibitors for comics, horror, anime and video games provided no end of entertainment — and merchandise — for fans to devour. Video game publishers have taken over a giant section of the exhibitors' floor on the Metro Toronto Convention Centre south building. 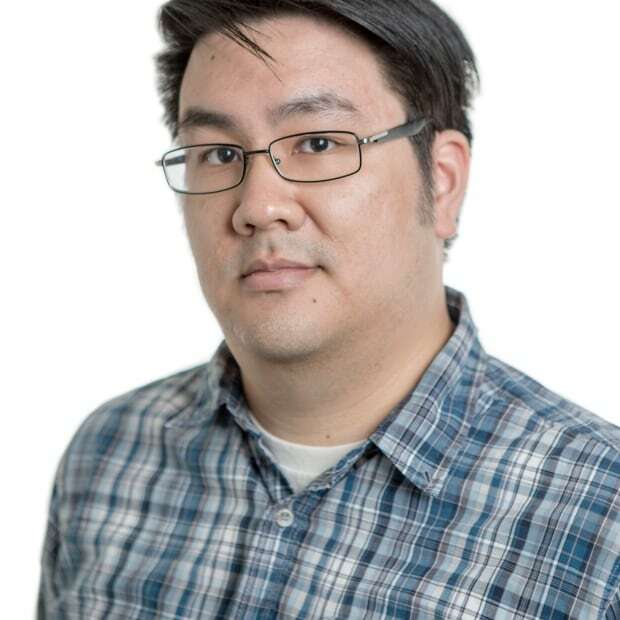 Companies like Sony, Microsoft and Ubisoft put their marketing machine into overdrive to drive interest from gamers, young and old, for their upcoming mega-budget games, as well as some promising indie titles. Here are three standouts we tried on the show floor Friday. Ubisoft, the French gaming giant with several major studios in Canada, took some risks this year by not releasing new instalments in its flagship franchises like Assassin's Creed or Rainbow Six. Instead the Ubisoft Fan Expo kiosk was dominated by two new IPs: Steep and For Honor. 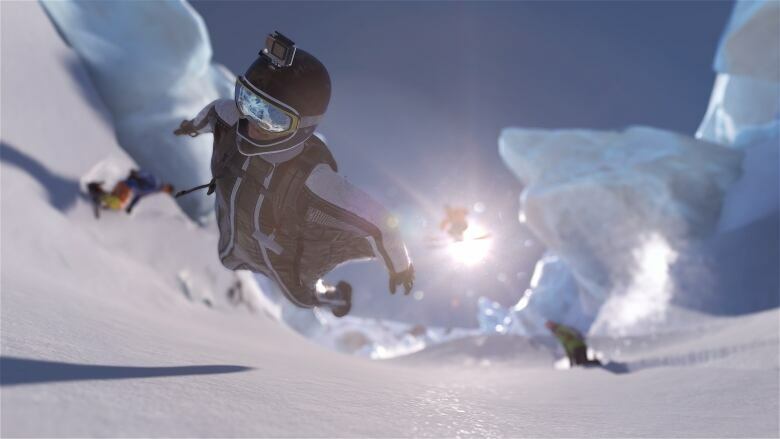 Steep is the first high-profile game in years to feature winter sports like snowboarding, skiing and wingsuit diving. 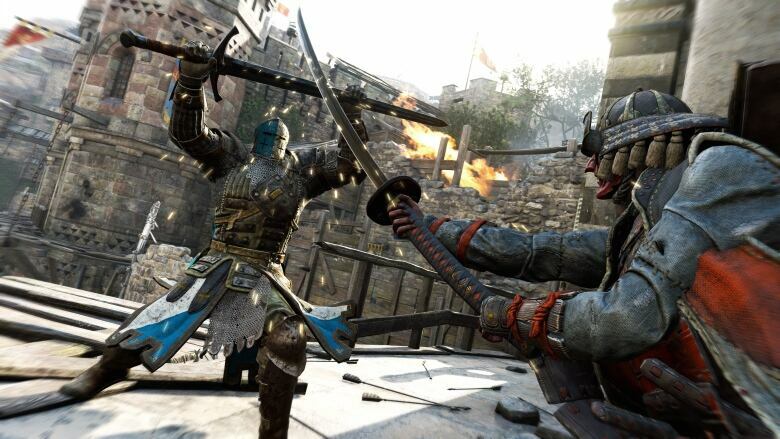 But For Honor impressed with the depth of its melee mechanics and the potential for some tense team multiplayer modes. Players choose to play as either a knight, Viking or Samurai, but they all control in more or less the same way. Your warrior can switch his stance, guarding attacks either from the left, right or above. You can similarly attack from the left, right or above. You hit your opponent by slashing at any angle they're not blocking. It's like a game of rock-paper-scissors, except when you lose, your arm gets cut off. It's a frenetic and complex game that requires a significant amount of dexterity and coordination with your teammates. The swords swung with weight and it didn't feel like a mindless button masher. We'll see if the final product lives up to its promising preview when it hits store shelves Feb. 17, 2017, for PlayStation 4, Xbox One and PC. 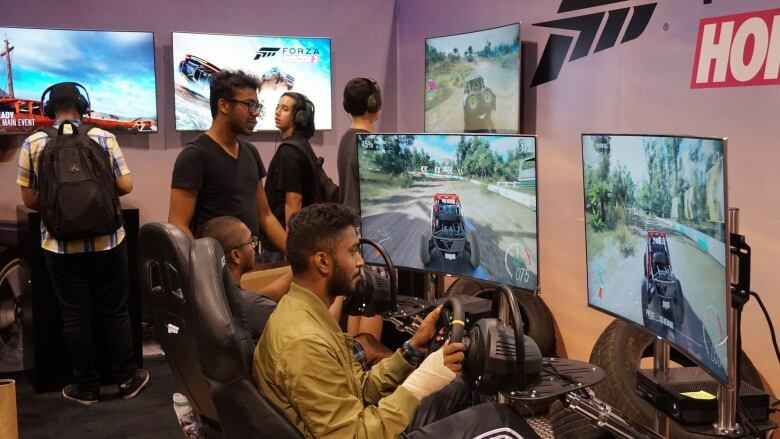 Forza Horizon 3 looked so gorgeous, it might have also been a television commercial for the ultra-expensive displays Microsoft had for their Xbox booths. 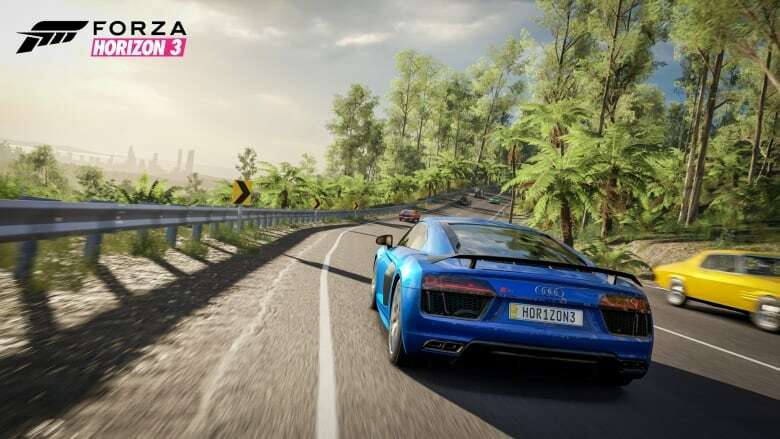 Microsoft's demo for the latest in its flagship racing series took us through a series of racing types at breakneck speed, with a few clever scene transitions to diminish the disorientation one might feel at switching vehicles and maps so quickly. You begin by choosing one of three luxury racing cars (a Lamborghini, BMW or Mustang) and taking it on the open road, Fast and Furious-style. A lap or two later, a scene transition has you take control of a jeep and later, a dune buggy. In between the sometimes obnoxious taunting from your rival — a driver whose car is inexplicably being carried through the air by a helicopter — you can gawk at the beautiful landscapes and the impossibly realistic cars. It doesn't look terribly different from past entries, but when it launches on Sept. 27 on the Xbox One and PC, its open-world design should make it more approachable compared to the more gearhead-focused Forza Motorsport sister series. 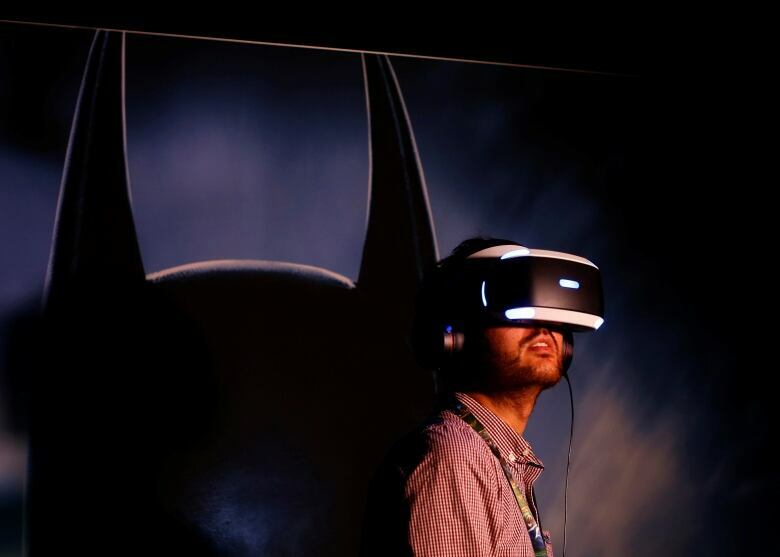 Warner Bros. was showing the 20-minute demo for Batman: Arkham VR at its booth, on the surprisingly comfy PlayStation VR headset. Like many virtual reality "experiences" that have become popular at trade events and box store kiosks, this isn't as much a game as a carnival ride-like trip to wow you with its peculiar visuals which are meant to immerse more than any traditional screen can. You begin as Bruce Wayne, speaking to his butler Alfred in his mansion's grand ballroom. But soon after, the floor slides open and plunges you down the secret elevator you were standing on all along. Pieces of Batman's suit are stuffed in front of your face, and you have to gear up — including using both hands to put on the famous mask. The second scene is a crime investigation, a mainstay in Rocksteady's award-winning Batman Arkham games. You find the body of — gasp — Nightwing, Batman's former sidekick and the first Robin, lying in a dark alley. By pointing your forensic device — it's basically a sci-fi flashlight — at parts of the scene you'll reconstruct the fight in front of you in the hopes of identifying Nightwing's murderer. It was one of the more impressive VR demos we've tried, many of which offered little more than a few minutes of pretty scenery. This gave a good — if fleeting — recreation of what the Arkham games would feel like in VR, and we're left wanting more. 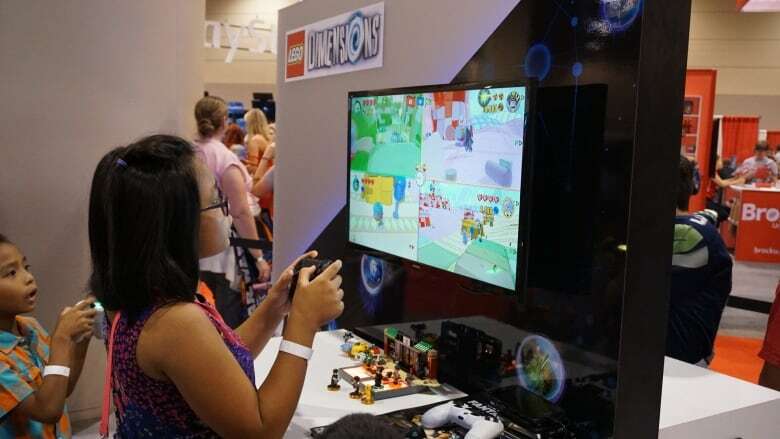 Of course, there were many more games to try out — as long as you're willing to brave the shoulder-to-shoulder crowds that Fan Expo has reliably attracted for the past several years. 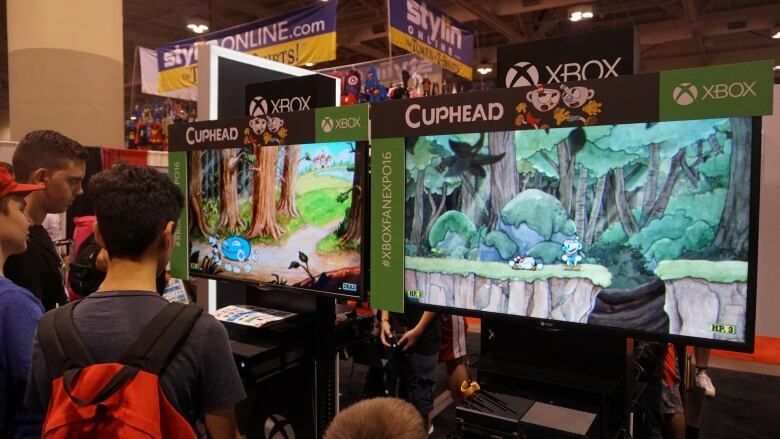 Other notable games on display include Gravity Rush 2, a Japanese game with landscapes seemingly plucked out of a Mobius cartoon; Xbox shoot-em-up Gears of War 4, developed by Vancouver studio The Coalition; and Cuphead, an old-school run-and-gun with an incredible art style reminiscent of 1930s cartoon animation, by Canadian indie team Studio MDHR.